WordPress is built on top of PHP and MySQL stack. PHP is one of the most highly used scripting languages while MySQL is open source database. Installing WordPress is a five minutes job, but at times this five minutes installation can also become a daunting task. Being a database driven application WordPress can encounter known or unknown error that need immediate attention and fixation. 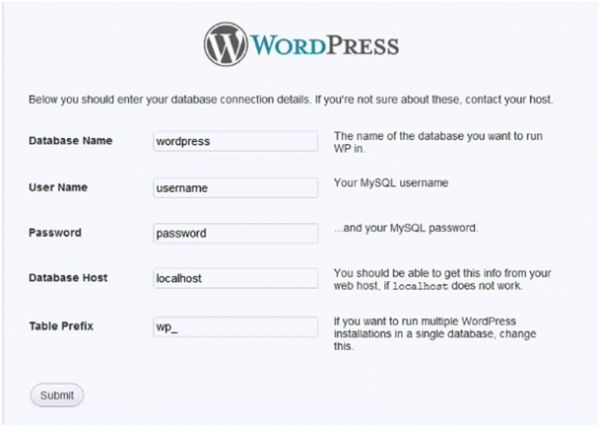 This manual aims to explore and address issues related to WordPress installation and how to make WordPress talk to database. 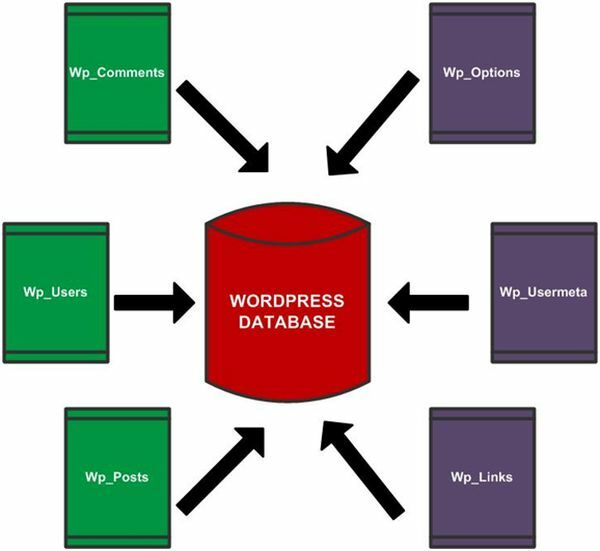 Before directly heading forward towards how to install WordPress it is necessary to understand WordPress database model. The aim of this manual is to help you develop necessary skills to troubleshoot WordPress installation. MySQL is a relational database made up of rows that holds pre and post installation WordPress data. •	Whenever a visitor visits a WordPress website’s page or post, WordPress digs out that information from its MySQL database and display the corresponding information on the webpage. • All the content that appears on WordPress dash board is also pulled out of MySQL database. •	Every webhost provider facilitates its users with a control panel where they can login and manage their website. The control panel includes a MySQL database package under database manager. From creation of new database to editing of existing one, from adding users to assigning access to those users everything is done under database manager. WordPress comes with the famous five minute installation guide lines, but there are times when installation goes beyond five minutes. There are two major perquisites for installing WordPress they are listed below. The minimum requirement for installing WordPress is PHP version 4.3 and MySQL version 4.1.2. However PHP version 5 or above will provide rich development experience. Apache or Nginx are not a must web server packages for running WordPress , but the AMP (Apache, MySQL and PHP) is the most preferred one. •	Go to your webhost control panel to get started. Go to database wizard and in database wizard chose MySQL as your database. •	In MySQL database panel type in the name of your database. •	After creating database create database User and create a password for database user. •	After creating a database user add user to the database and assign all privileges such that he holds the administrator rights. •	Around 99 percent webhosts use localhost as default host name for DBhost, if your host uses a different host name contact them to know about it. •	Download latest versions of WordPress installation unzip the WordPress installation package and upload it to a desired folder at your web server. •	If all files are placed well you will see a similar screen on your web browser. 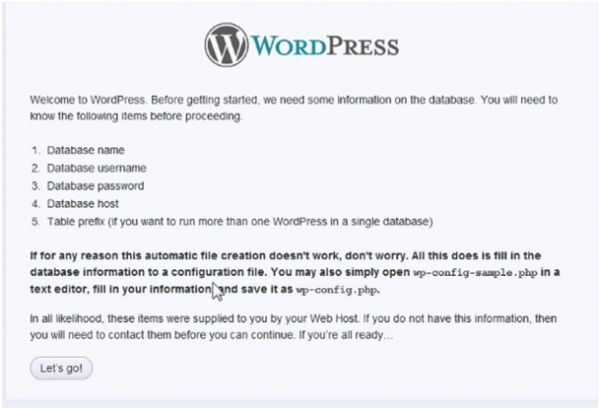 •	The screen says wp-config.php file is missing, this indicates that WordPress is correctly installed on web server. •	Now the famous WordPress five minute installation come into play. This service allows your WordPress installer to talk to the database, the five minute installation works mostly on all servers and if does not work there are alternate options available. Firstly, we will look at the five minute installation and then we will look at the alternate installation. •	After clicking on create a configuration file you will be navigated to a similar screen. •	After clicking on Let’s Button you will be directed to following screen. Fill in the options populated out on screen. •	If everything goes right you will come across the following screen. It means your Database connection has been successfully established. Alternate method of establishing WordPress connection string. 1. Go to the WordPress installation package. 2. In the installation package you will find a wp-config-sample.php file. This is the file that will tell WordPress how to talk to database. 3. Open this file in a text editor and look for following options as displayed below. Save the options rename the wp-config-sample.php to wp-config.php and upload it to your web server. •	If everything goes well you encounter the same run installation screen. It means your Database connection has been successfully established. After successfully installing WordPress you can get started with creating state of art web applications that are proudly powered by WordPress .